Going green can sound a little intimidating to some homeowners. With so many eco-friendly options to choose from, it can be hard to know where to begin. Here are eight green suggestions on how to build an energy efficient home. This goes for people already settled into their home as well as those working on building one. We’ve also included a few basic tips and habits that will help you reduce your footprint and consumption. No matter if you are moving in or breaking ground, you can help the environment with simple, effective changes. You just need a little push in the right direction. Is the roof over your head just providing shelter or making a difference? Use it to make your home more energy efficient with the help of solar panels. Solar panels take in energy from the sun to fuel the electrical systems inside the house. They bask in as much light as they can from the roof, then distribute the energy they consume. Solar panels can cost a bit to install. But they are worth every penny in the long run. 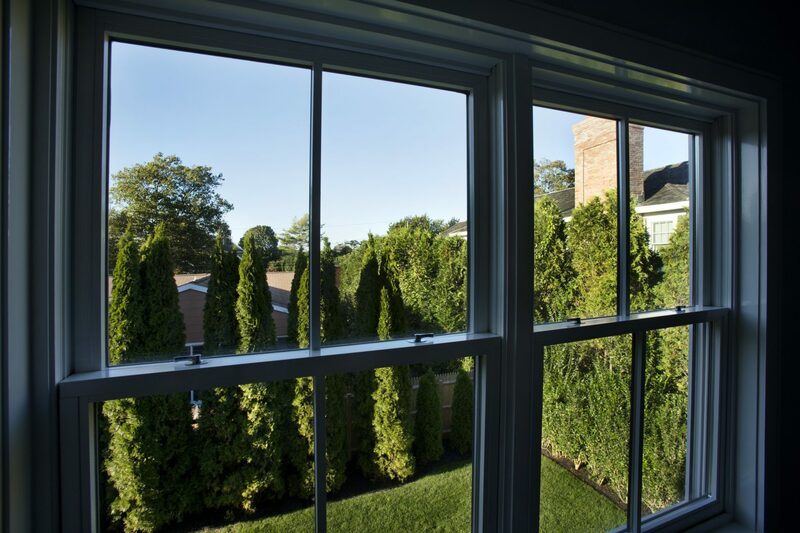 When thinking about how to build an energy efficient home, consider upgrading your windows. As windows age, so do their molding. Old molding cracks the insulation, meaning more air is getting out and coming into your home. Such a change in the regular flow of things can cause havoc with your HVAC. Keep everything under control with upgraded windows. Some are even meant to work better in certain weather conditions. For New York weather, for example, look for windows that insulate heat to stay inside the home. It can ease your heating system’s workload, saving a significant amount of energy and money. Speaking of your heating unit, it may be time to upgrade to something eco-friendly. Hydronic heating uses conduction, convection, and radiation to power the heat in your house. It pumps water through pipes in the building. This water then goes through a heat exchanger, which changes the liquid to a gas. This gas is then pumped out into the room, creating a warm climate. Absorption heating is all about natural gas. The process works similar to pumps used in hydronic heating, except the power driving the radiation is a natural heat exchange. Absorption pumps use a water-ammonia solution to pick up the Earth’s heat. They then transfer it into your home during the winter. In the summer, the ammonia works to cool your home as well. If it’s too much effort to swap out your HVAC unit, at least try to change the lights. Incandescent light bulbs take up more energy than you might think. Instead of opting for these outdated fixtures, use LED or CFL bulbs instead. These bulbs are made with energy efficiency in mind. They tend to be stronger and last longer, all while cutting your energy consumption significantly. It’s a win-win any way you look at it – not to mention, they are a beautiful addition to any room. Another way to understand how to build an energy efficient home is to learn how much energy appliances use. Try to build your home with the latest models of refrigerators, ovens, and microwaves available. Don’t forget to upgrade your washer and dryer too. Most new appliances on the market are made to work better than before with less energy than before. They don’t have to be top-of-the-line, big expenses, either. Simply check the Energy Star rating of that double-door fridge you already fell in love with. Or, read some Consumer Reports to see how a certain appliance performed in someone else’s home! The thing about appliances isn’t just how much electricity they use. Many of them go overboard on water heating and waste. Pay particular attention to these two things when choosing your dishwasher and laundry machine. But, day-to-day water habits play a role in how to build an energy efficient home, too. Turn the sink off while you brush your teeth. Scrub all the dirty dishes with soap then rinse them off, instead of leaving the water on the entire time. Also, be mindful of the time you spend in the shower every day and how many baths you take. These might seem like insignificant changes, but they add up. Sometimes, understanding how to build an energy efficient home has less to do with the house itself and more with the landscape. Plant more trees and shrubs around the yard. These will offset the energy you use inside. home to help windows and HVAC systems do their job with less energy. It works in the summer as well as the winter. Windbreaks are another benefit of better landscaping. They reduce the speed of wind that hits your home. Sure, your foundation isn’t going anywhere, but the lower the speed, the better insulated everything will be. It’s never too late to think about how to build an energy efficient home. Even if you’re all moved in and set in your ways, you can make many simple changes all around the house. One of the easiest ways to go green is to stop buying napkins and paper towels. Buy a set of kitchen cloths and rags instead! They’re the reusable solution to all your messy situations. Use them to wipe the counters and appliances. Keep a few nice ones for the table. You’ll have to wash these regularly. But with enough on-hand, even the laundry loads will be less waste than the paper you’d go through otherwise. After getting rid of paper comes plastic. Stop accumulating all the plastic bags you’ll never use again! your eco-friendly duty at the register. Keep a few in your car so you’re always eco-friendly whenever you shop. Although cutting down on paper and plastic will offset your waste, these habits won’t end everything you throw away. You can upcycle some other things, though. Think of how to use old glass containers as cute jars or even candle holders. Turn an old piece of furniture into an upgraded decor piece with a little DIY project. The possibilities are endless, you just have to look at your home with an eco-friendly perspective. How to Build an Energy Efficient Home: Get to Work! These green solutions only work if you do. Put a halt on some of your building projects and go back to the drawing board if you still have time. If you’re already settled in your dream home, you can still try some of the things on this list. Don’t forget to come back and let us know how your results turn out! If you enjoyed this article you also might find our post on Sustainable Design a great resource when considering your approach for your new home build.